1x one-sided heavyweight etched vinyl. 60 page RAM Book. 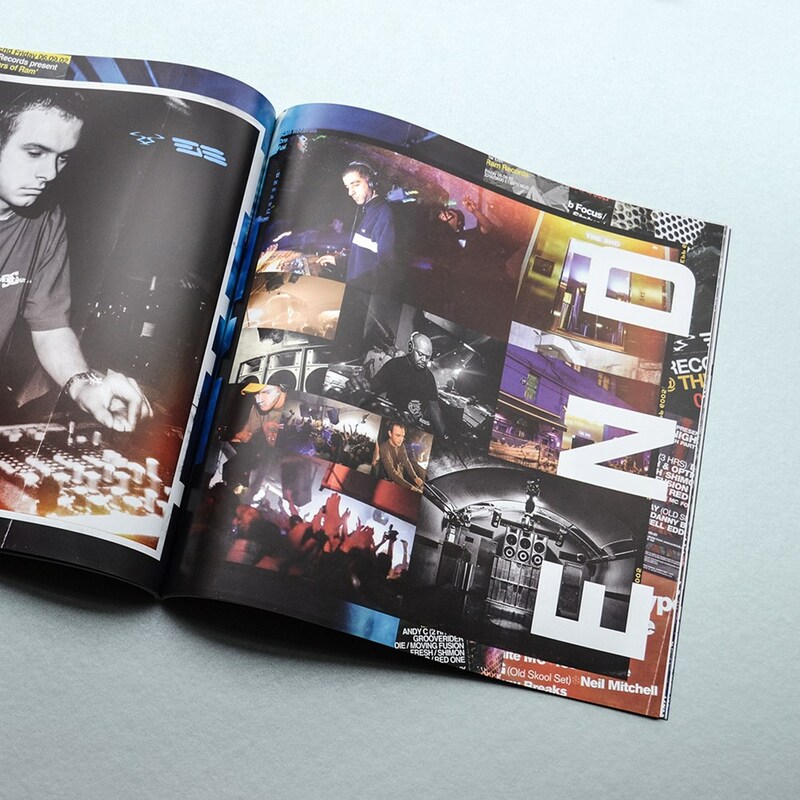 Perfect bound, printed on luxury 90gsm paper includes an exclusive interview with Andy C and Scott Bourne, documenting 25 Years in drum & bass. Also contains a photographic and artwork archive of one of the scenes most iconic and longest running imprints. 30mm RAM25 Logo Steel rotating Keyring. 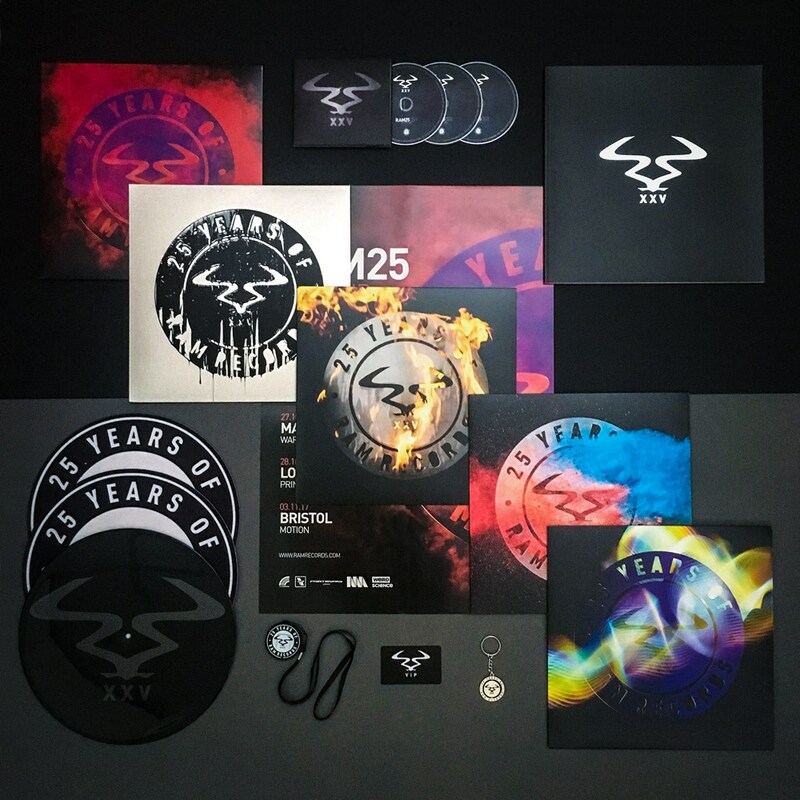 RAM logo USB pen including the digital album and a selection of RAM25 artwork phone and tablet wallpapers. RAM Black Card. 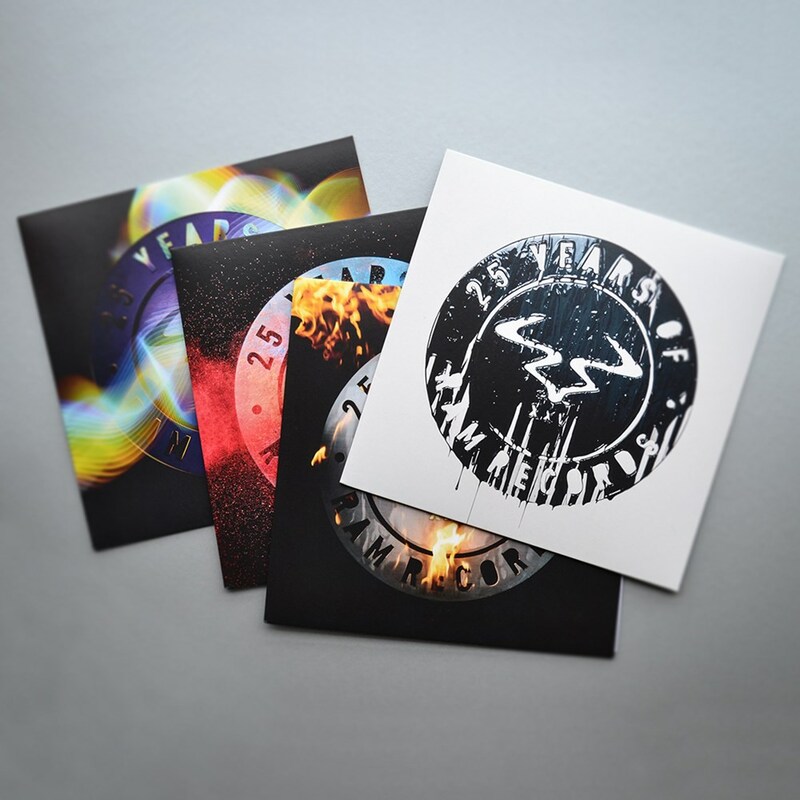 an exclusive members only card, entitling the user to a year of exclusive discounts on the RAM store.